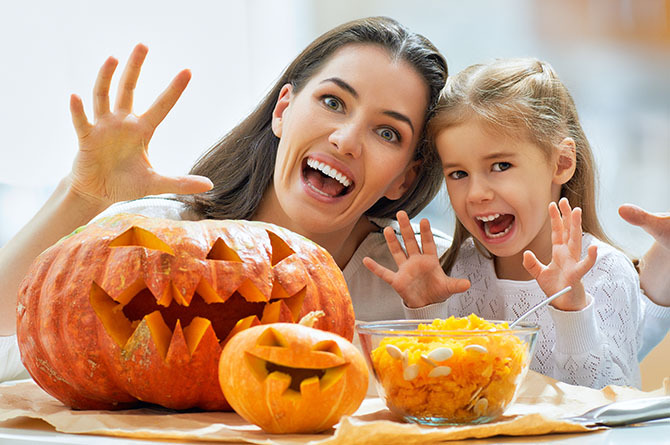 Enjoying all of those tasty Halloween treats — and the following holiday sweets as well — will be much easier when your mouth is in optimum health. Exposed cavities and tender gums will not mix well with an onslaught of sugar and candy galore. It is vital to enjoy your treats in moderation and practice good oral hygiene to protect your smile. You can minimize the cost of your indulgence by analyzing your candy and limiting yourself to the treats that will be least harmful to your teeth. The following post from the Academy of General Dentistry provides some eye-opening insight into which candies are better and which are worse for your dental health. “Of course, dentists do not advocate that children eat large amounts of sugary treats, but it is that time of year, so we want to clarify for parents which treats are better for their kids’ teeth and which ones may increase the risk of developing cavities,” says Academy of General Dentistry spokesperson Cynthia Sherwood, DDS, FAGD. What to Do With Extra Candy? Make a board game and use the candy as playing pieces. Stuff it into a piñata. Halloween is the perfect time to (re)commit to a good daily oral hygiene regimen. Remember that your children and grandchildren watch your teeth cleaning habits. 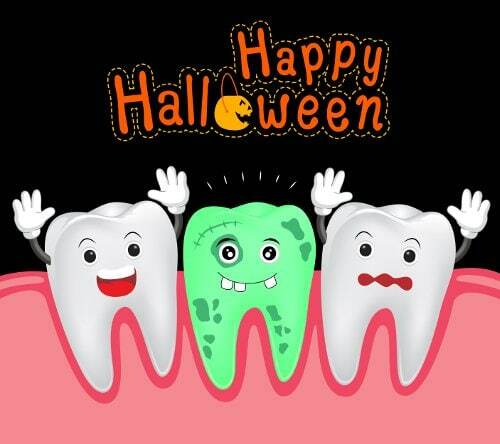 After everyone has had their scary sugar treats, participate with the kids in a dedicated brushing and flossing time. Your example can help instill among your little ones a lifelong commitment to maintaining a healthy smile. Adult Dentistry of Ballantyne offers a multitude of general and cosmetic dental services to maintain, improve or completely transform your smile. Dental implants, veneers, same-day crowns, ZOOM! tooth whitening, Invisalign clear orthodontics and multiple types of sedation dentistry are just some of our specialities. Don’t let your smile be a fright. Call Adult Dentistry of Ballantyne at 704-541-9888 or use the contact form on this page to set an appointment. We look forward to seeing you soon.